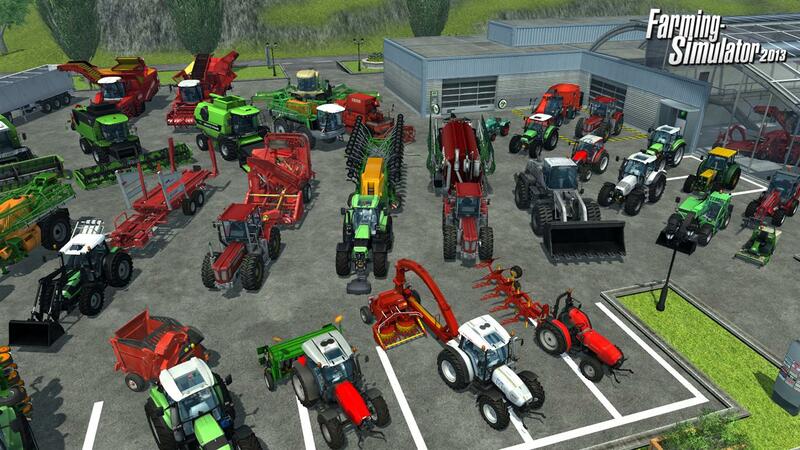 Hot new screens featuring the full fleet of Farming Simulator 2013 vehicles are burning up the internet. 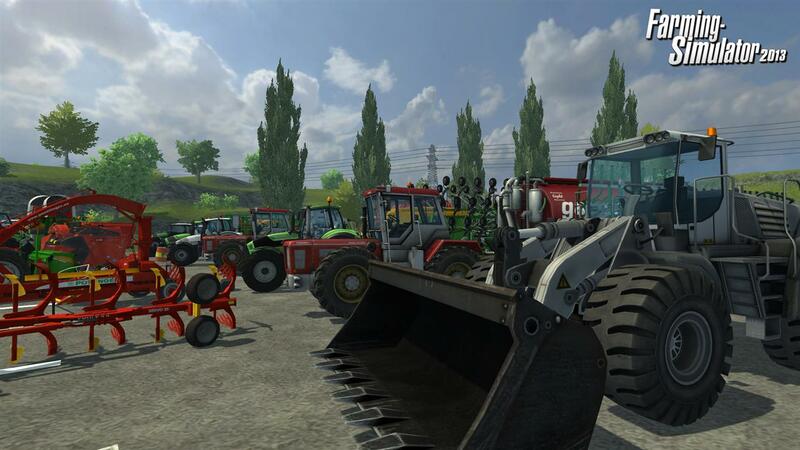 Farming Simulator 2013 absolutely crushed Gamescom this summer, but its not letting up for a second - this game is plowing the internet like a Case IH Magnum 340 driven by a responsible man of serious intent! Just look at these awesome machines: ruby red, gleaming green, dignified gray and even splashes of suspiciously iconoclastic yellow as far as the eye can see! Or at least, within the confines of the virtual parking lot. And we're not talking about just run-of-the-mill John Deere stuff here, either. 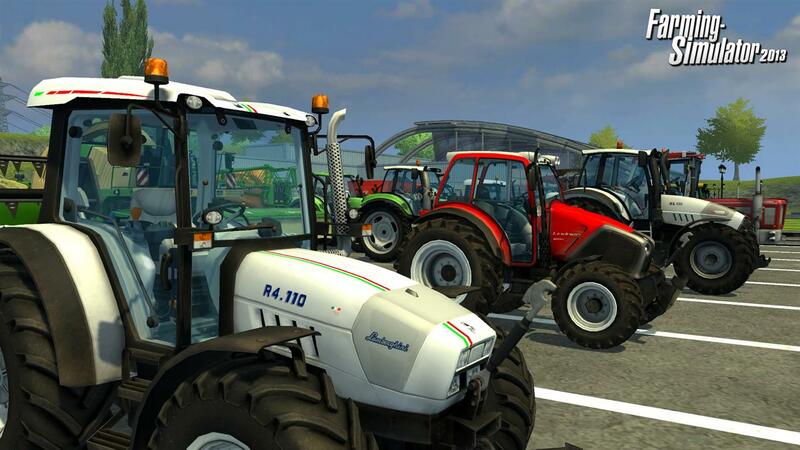 This game has Deutz-Fahr. It has Horsch. It has Amazone. It has Lamborghini! And yes, Lamborghini makes tractors; I googled it, just to be sure. 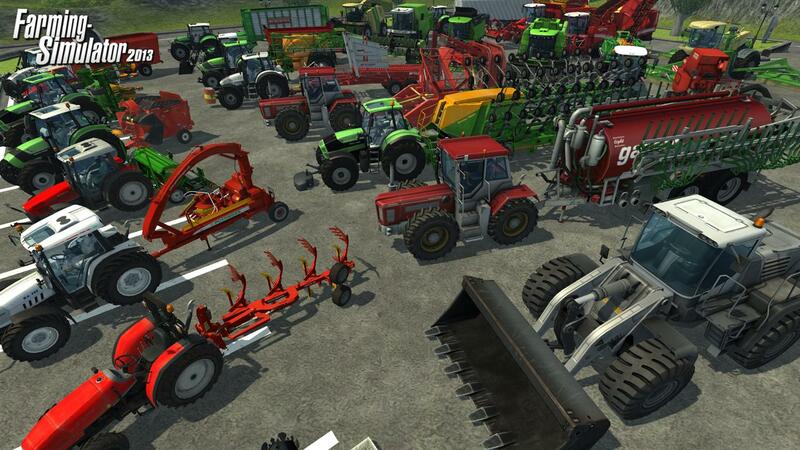 Farming Simulator 2013 will feature over 100 authentic, meticulously detailed tractors, harvesters and other tools of the trade from more than 20 officially-licensed and world-famous brands. And with full online and LAN multiplayer support, you can even grab a couple of these roaring beauties and play chicken with your friends! * That's farming, baby! 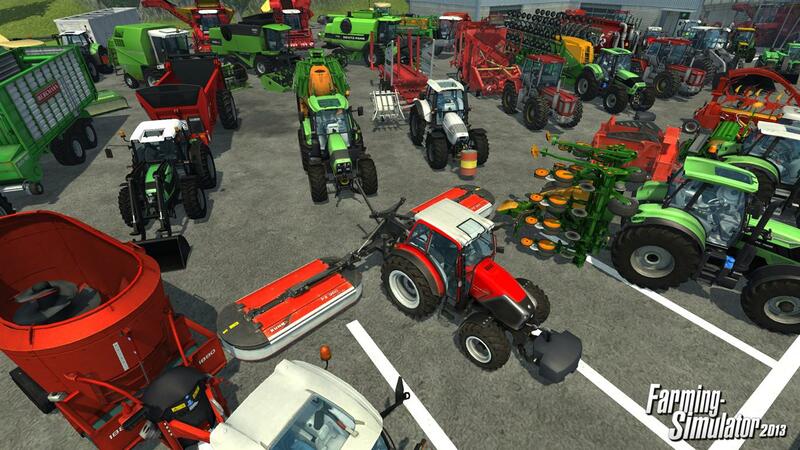 Farming Simulator 2013 comes out in October for the Xbox 360 and PC, while the PlayStation 3 version is expected to launch in early 2013. 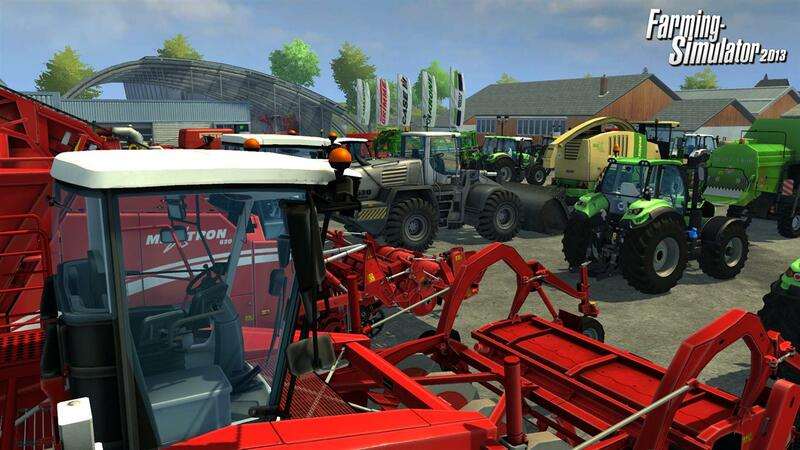 To learn more about the most exciting farming simulator ever created, check out farming-simulator.com.